Norway’s Bastø I ferry is officially the first commissioned vessel with a globally certified International Maritime Organization (IMO) Tier III compliant marine engine that does not need urea based after treatment. The completely refurbished Bastø I ferry is re-powered by GE’s Marine Solutions 16V250MDC, a 16 cylinder, 250 mm bore marine diesel engine that is certified to meet both IMO Tier III and EPA Tier 4 emission standards, reducing key emissions by more than 70%. An industry first in this power range and engine speed, the engine’s exhaust gas recirculation (EGR) technology has successfully accumulated over 300,000 emission compliant operating hours. Each week, more than 20 engines are added to the marine and locomotive operational fleet. Our experience and expertise are growing exponentially, while reliability continues to exceed customer expectations. Maximizes engine efficiency and load response with a ramp up from idle to full load of about 15 seconds. said Sofiane Laoussadi, General Manager of GE Marine. The Norway stationed Bastø Fosen I ferry is commissioned to cross the Oslo fjord, operating the 30-minute route between Horten and Moss. The route currently uses three ferries, carrying 2.5 million people annually. 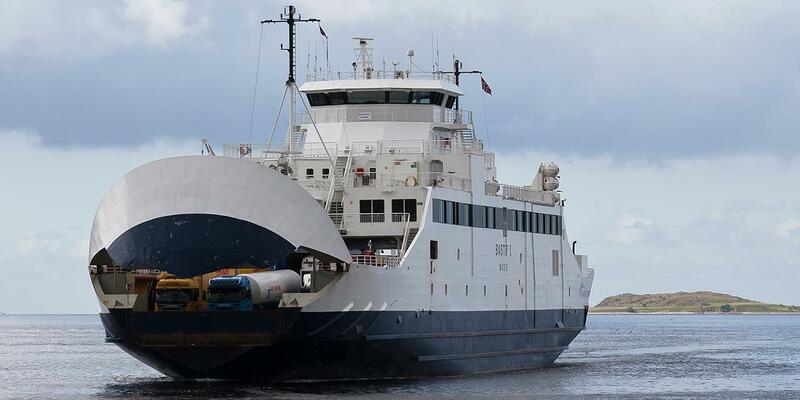 The Bastø Fosen II ferry will make the trek to Fiskerstrand Verft AS in the fall for refurbishing and installation of its own IMO Tier III compliant GE diesel engine. Bastø Fosen has also ordered six, 8L250MDC, IMO III compliant eight-cylinder in-line engines for three new ferries currently under construction, which launch later in 2016. Bastø Fosen (www.basto-fosen.no), part of Torghatten Group ASA, is a major ferry operator in Norway providing annual transit service to more than 1.7 million vehicles and 3.4 million passengers.